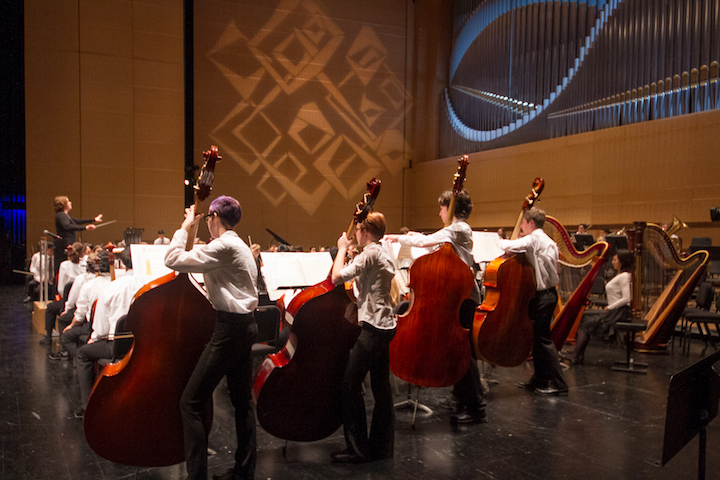 This Wednesday, March 13, brings two noteworthy and FREE events: this month’s midday Just Bach concert; and, at night, the annual Final Forte teenage concerto competition of the Madison Symphony Orchestra. 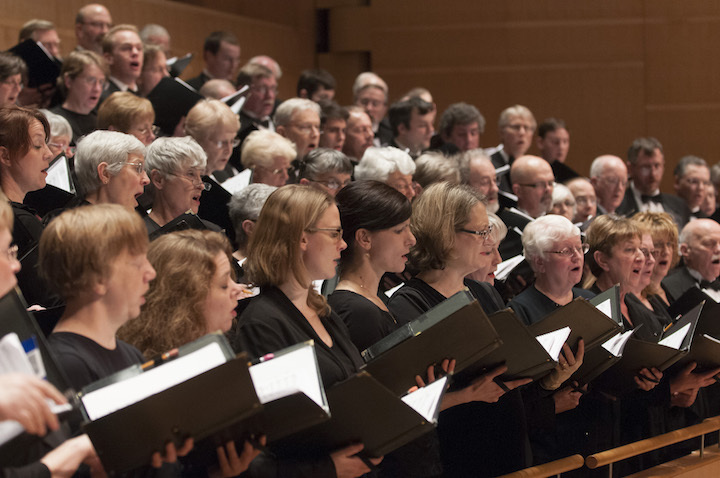 This month’s FREE hour-long performance by Just Bach (below, in a photo by John W. Barker) will take place at Luther Memorial Church, 1021 University Avenue, starting at 1 p.m. Food and drink are permitted and free-will donations are accepted. And here is a link to the home page and website with links to information about the performers and more. Then on Wednesday night, starting at 6:45 p.m. in Overture Hall of the Overture Center, the four finalists in the annual Final Forte teenage concerto competition, held by the Madison Symphony Orchestra, will compete accompanied by the MSO and conductor John DeMain. The public is invited to attend the FREE event, but tickets but must be reserved in advance. The performances will also be broadcast live starting at 7 p.m. by both Wisconsin Public Television (WPT) and Wisconsin Public Radio (WPR). The four finalists, from dozens of statewide applicants who took part in the two preliminary rounds, are (below, from left): violinist Monona Suzuki of Fitchburg playing Ravel; cellist Grace Kim of Waunakee playing Saint-Saens; flutist Holly Venkitaswaren of Lisbon playing Pierce; and pianist Antonio Wu of Madison playing Rachmaninoff. Today is the holiday to celebrate the 89th birthday of Martin Luther King (below), the American civil rights pioneer who was born on this day in 1929, won the Nobel Peace Prize and was assassinated in 1968, when he was 39. There will be many celebrations, including the 38th annual one at noon in the State Capitol of Wisconsin in Madison, which will be broadcast live and recorded by Wisconsin Public Radio (WPR) and Wisconsin Public Television (WPT). Music is always an important art of honoring King. There will be spirituals and gospel choirs. But King himself has become a musical, and dramatic, figure. So here are some links to sample from YouTube, which has many of King’s speeches and much of the music done to honor King over the years. 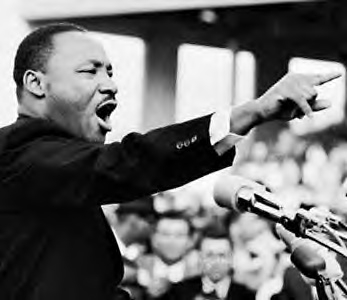 MLK is a character is the opera by Philip Glass called “Appomattox,” which deals with civil rights from The Civil War onwards and was commissioned and performed by the Washington National Opera. Do you know of any other musical works in which Martin Luther King Jr. actually figures and plays a role? What piece of classical music would you choose to honor King?- Perhaps the poignant aria “Give Me Freedom” from Handel’s opera “Rinaldo” (performed in the YouTube video at the bottom) or Beethoven’s Ninth Symphony with its “Ode to Joy” finale about universal brotherhood. Classical music: Are the rules of the Madison Symphony Orchestra’s Bolz Young Artist Competition fair? Or do they need to be changed? Everyone The Ear has spoken to agrees: The Madison Symphony Orchestra’s concerto competition that took place last Wednesday night — and which was broadcast live over Wisconsin Public Radio (WPR) and Wisconsin Public Television (WPT) — was an extraordinary and inspiring artistic event. 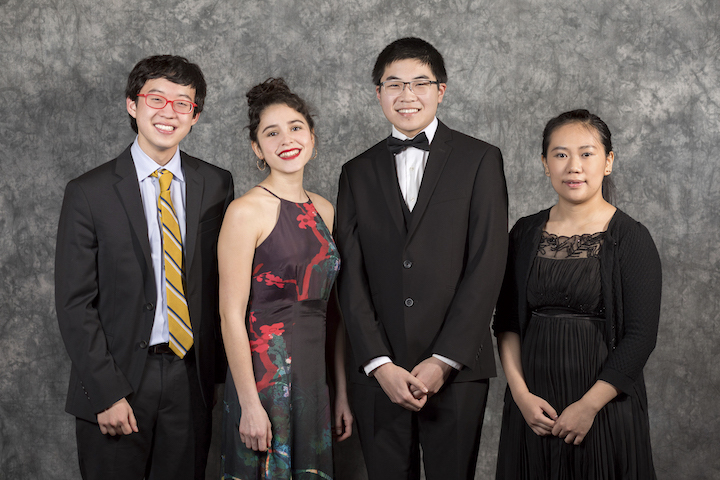 All of those people had nothing but the highest praise for all four teenage finalists – (below, from left) violinist Julian Rhee, harpist Naomi Sutherland, pianist Michael Wu and violinist Yaoyao Chen — who performed under the baton of MSO music director John DeMain. Is it fair that the impressively talented 16-year-old violinist Julian Rhee, from Brookfield, got to win the first prize for a second time? 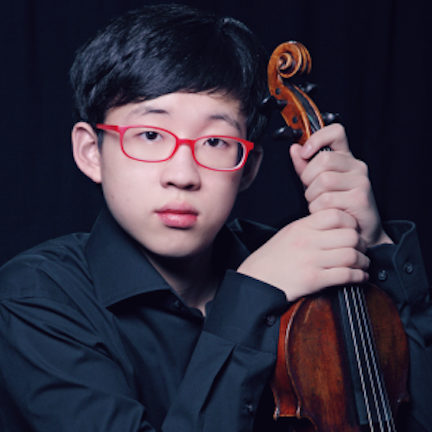 Curiously, there was no mention of his previous win in 2015 – a younger Rhee is seen below — when he played the first movement of the Violin Concerto by Brahms. That win went unspoken during this year’s live broadcast, and even in the pre-event publicity or in the post-event publicity. It almost seems as if the organizers recognized that pointing it out would sound funny, awkward or questionable. Also, no mention was made that the gifted Rhee also won a competition with the Wisconsin Chamber Orchestra and then played at Concerts on the Square; or that just a month ago, Rhee appeared on the regular season of the Wisconsin Chamber Orchestra, playing the complete Brahms concerto under WCO music director Andrew Sewell. Such experience probably qualified Rhee – a maturing prodigy — as a professional or at least a semi-professional, assuming he got paid for the WCO appearance, rather than an amateur. Let’s be clear: This year, Rhee played the opening movement of the Violin Concerto by Tchaikovsky stupendously well. It is hard to argue with the decision of the three judges to award him first prize. In short, Rhee did nothing wrong and everything right. His winning was not in any way tainted. He won fair and square. He played brilliantly, beautifully and engagingly. What some people are questioning is not Rhee’s victory, but whether the rules themselves are unfair by allowing a previous first prize-winner to compete a second time. It certainly appears to put the other young competitors with less experience at a disadvantage. Now, the rules do allow for a performer to win multiple first prizes. Historically, a couple of contestants have indeed won again, performing on different instruments for each appearance. And no one seems to object that a second-, third- or fourth-prize winner gets a chance to try again to do better and win. True, the eligibility rules do require that one year passes before a first-prize winner can compete again. But the question seems to be: Are the rules fair? Or should they be modified, so that the playing field is more even for all the young participants? Should first-prize winners be excluded from competing again? That is the question that is being raised, however it is answered. Are the rules fair or unfair? Should first-prize winners be allowed to compete again? Should the rules be changed or stay the same? Leave your point of view in the COMMENT section. NEWS: In case you missed it last night on Wisconsin Public Television and Wisconsin Public Radio, here are the winners of the Madison Symphony Orchestra’s high school concerto competition, which featured a lot of fine music and excellent performances. First prize went to violinist Julian Rhee of Brookfield, who performed Tchaikovsky; second prize went to pianist Michael Wu of Sun Prairie, who performed Saint-Saens; and the two runners-up were violinist Yaoyao Chen of Menasha, who played Sibelius, and harpist Naomi Sutherland, who performed Ravel. ALERT: This week’s FREE Friday Noon Musicale, at the First Unitarian Society of Madison, 900 University Bay Drive, will feature bassoonist Juliana Mesa-Jaramillo in works for solo bassoon by 20th-century Latin American composers. The concert runs from 12:15 to 1 p.m. The critically acclaimed Mosaic Chamber Players will conclude its 2016-2017 season with a program of piano trios. Members of the Madison-based Mosaic Chamber Players are Wes Luke, violin; Kyle Price, cello; and Jess Salek, piano. 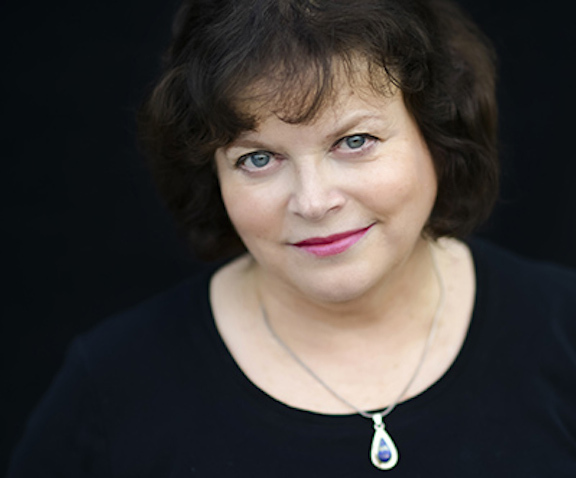 The concert will be this Saturday, April 1, at 7 p.m. in the Landmark Auditorium of First Unitarian Society of Madison. Tickets are $15 for general admission; $10 for seniors; and $5 for students. Cash or checks only will be accepted. 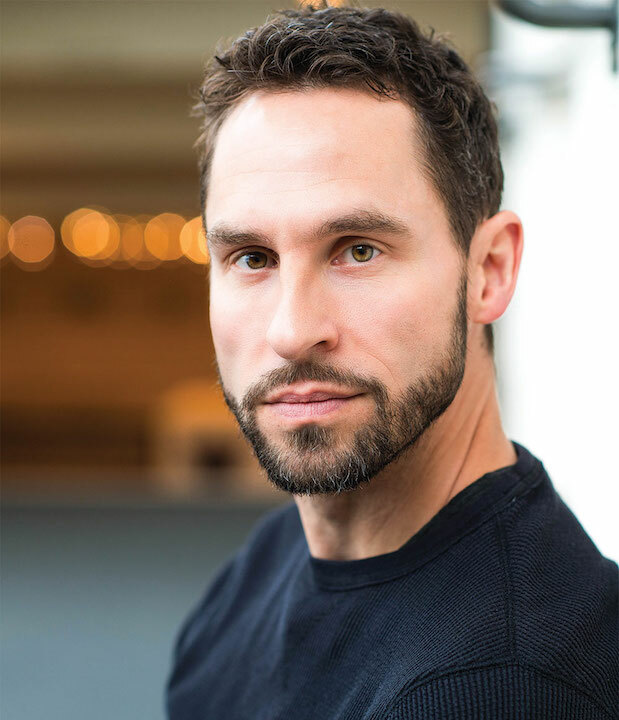 Pianist Jess Salek (below), who graduated from the Lawrence University Conservatory of Music in Appleton Wis., and who runs his own piano studio in Madison and also works with the Madison Youth Choirs. 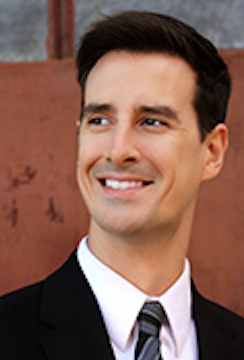 Violinist Wes Luke (below) plays with many regional orchestras and ensembles, including the Madison-based Ancora String Quartet. 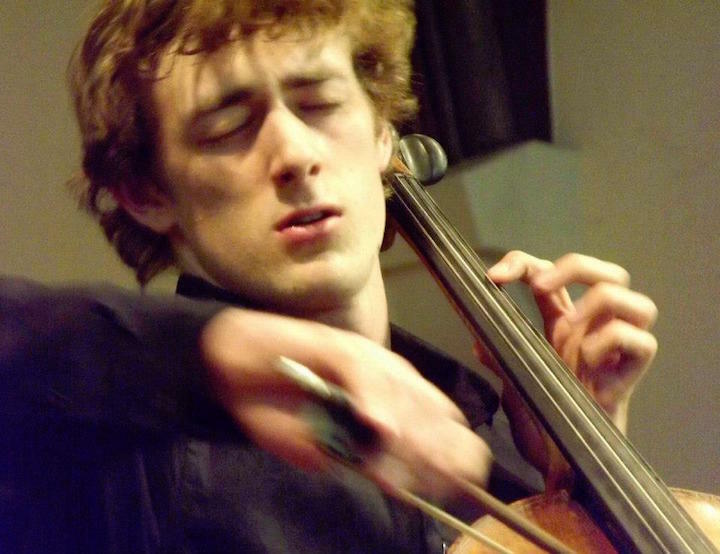 Here is an informative and engaging story about cellist Kyle Price (below), a UW-Madison student, and how he started a music festival and ended up studying with Professor Uri Vardi at the UW-Madison. 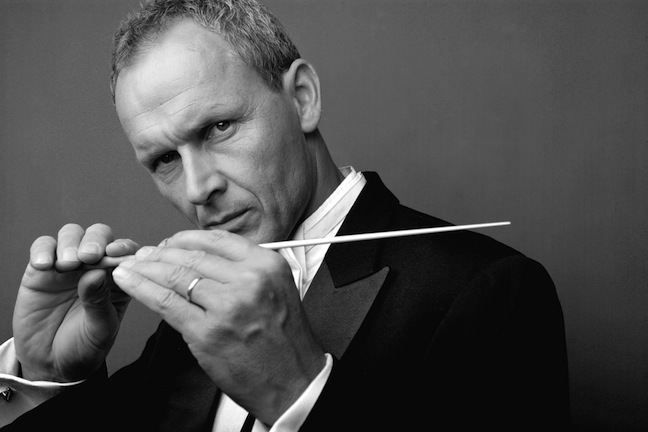 ALERT: Just a reminder that TONIGHT at 7 p.m., the final round of the youth concerto competition with the Madison Symphony Orchestra will take place under the direction of MSO music director John DeMain. You can stream it, or watch and hear the four finalists – two violinists, a pianist and a harpist – live on Wisconsin Public Television and Wisconsin Public Radio. You can also attend the concert in Overture Hall of the Overture Center for FREE if seats are still available. 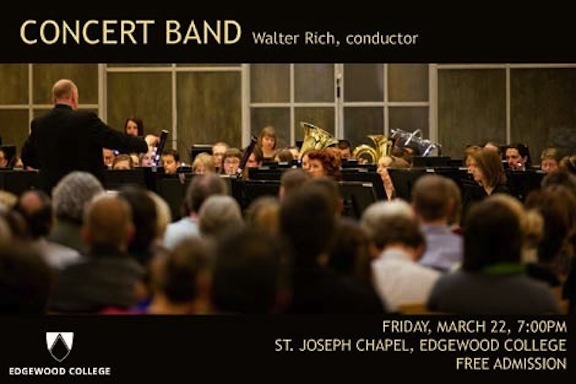 The concert will be in the St. Joseph Chapel, 1000 Edgewood College Drive. Admission is FREE with a freewill offering to benefit the Luke House community meal program. 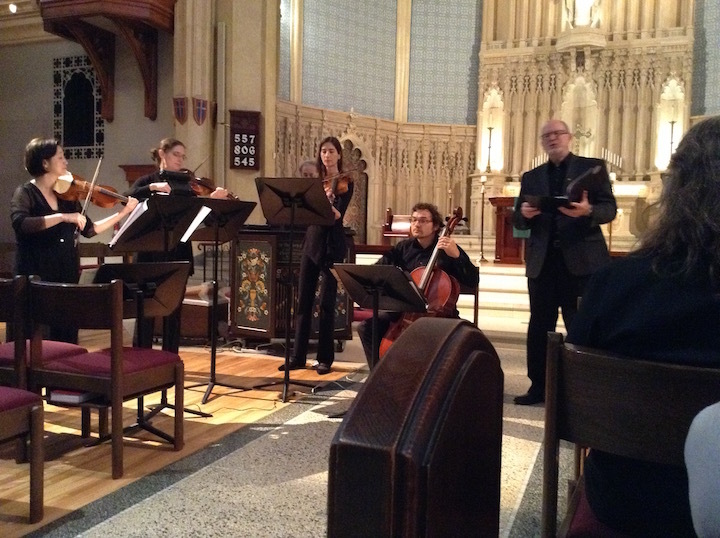 The program offers a variety of styles and features music by William Byrd, Ralph Vaughan Williams and Claude Debussy. 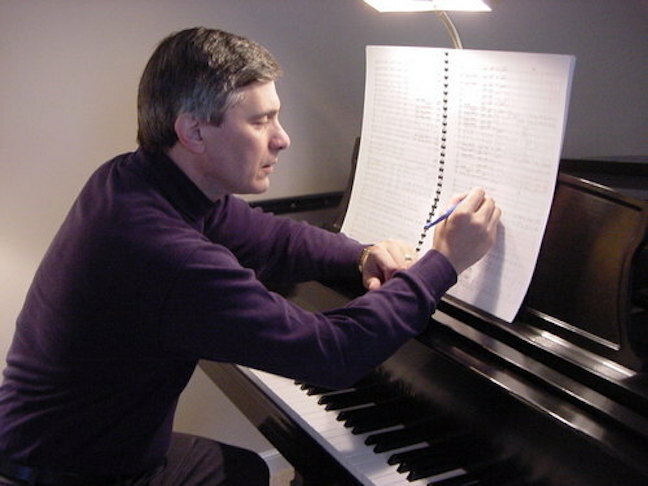 A Folk Song Set of Wisconsin by the American composer Barry E. Kopetz (born in 1951, below) will be also be featured. 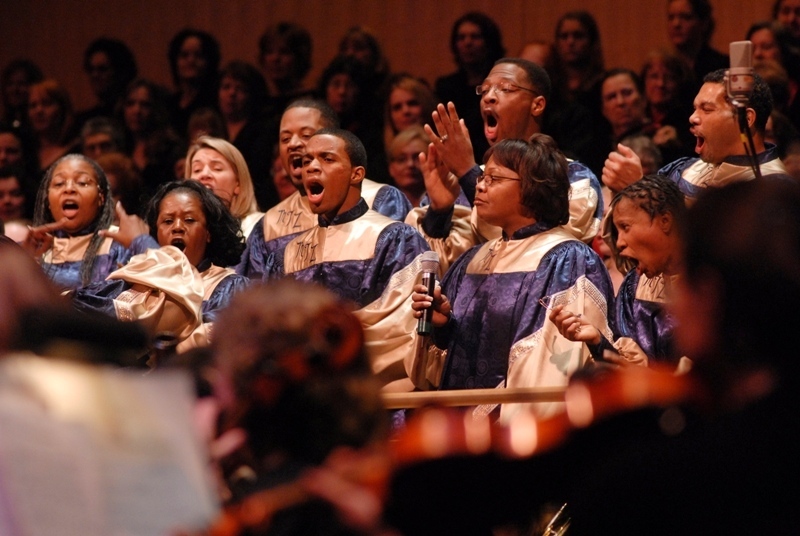 The Music Department at Edgewood College has hosted benefit concerts for Luke House since 1994. 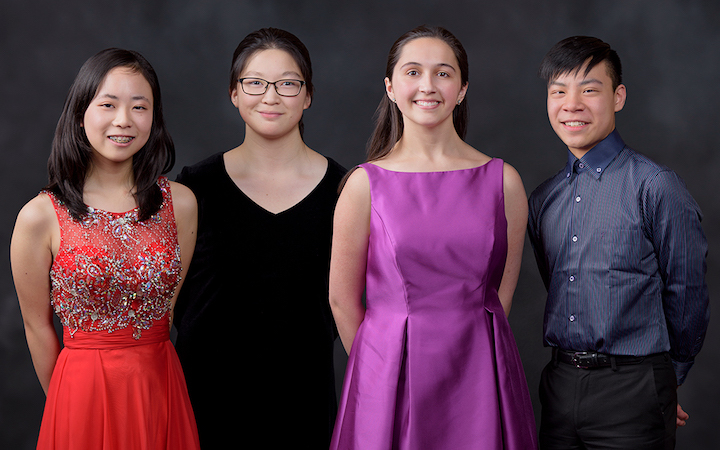 This Wednesday night at 7 p.m. in Overture Hall of the Overture Center, four teenage finalists will perform the final round of the Bolz Young Artist Competition in a free live concert with the Madison Symphony Orchestra (MSO). It will be broadcast live on Wisconsin Public Television (WPT) and Wisconsin Public Radio (WPR), and available via live streaming on wpt.org, at 7 p.m. The public can also reserve FREE tickets to attend the concert in person. The Final Forte finalists are selected from a group of young artists who competed in the Bolz Young Artist Competition’s two preliminary rounds. This year’s Final Forte features (below, in a photo by Amandalynn Jones, from left): violinist Julian Rhee of Brookfield, who will play the first movement of the Violin Concerto in D Major by Peter Tchaikovsky; harpist Naomi Sutherland of Viroqua, who will play the “Sacred and Profane Dances” by Maurice Ravel; pianist Michael Wu of Sun Prairie, who will play the first movement of the Piano Concerto No. 2 in G Minor by Camille Saint-Saens; and violinist Yaoyao Chen of Menasha, who will play the first movement of the Violin Concerto in D minor by Jean Sibelius. Each of the finalists will perform with music director John DeMain and the MSO as they complete for top honors and scholarships that will be awarded at the end of the broadcast. WPR’s Lori Skelton and Jim Fleming will co-host the event. IMPORTANT NOTE: This is a live concert broadcast. 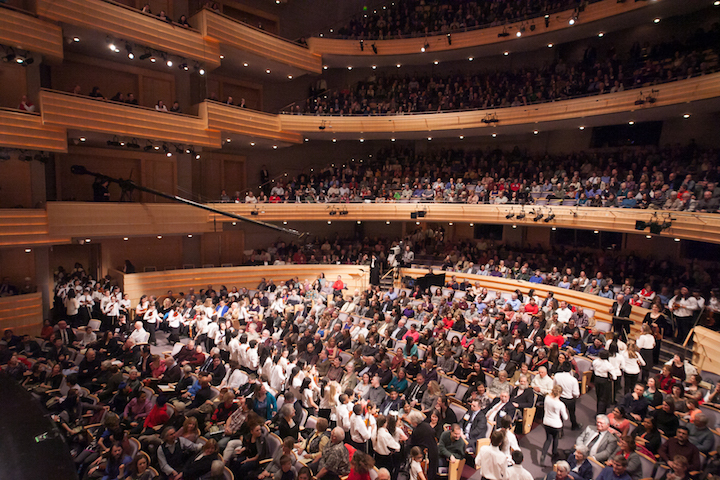 All audience members must be seated by 6:45 p.m. in Overture Hall, prior to the start of the concert. The Final Forte broadcast on WPT and WPR has won numerous honors including an Emmy nomination, and has reached several hundred thousand viewers and listeners in the area Madison and statewide. The Wisconsin Channel (WPT-2): Saturday, April 1, at 3:30 p.m.
Milwaukee Public Television (Channel 36.1): Sunday, April 2, at 1 p.m.
Wisconsin Public Television (WPT-1): Sunday, April 2, at 2 p.m.
“Wisconsin Young Artists Compete: The Final Forte” is a partnership among the Madison Symphony Orchestra, Wisconsin Public Radio and Wisconsin Public Television. The even is part of WPT’s multiyear Young Performers Initiative, a statewide effort to raise the visibility of the arts, celebrate the creative achievements of Wisconsin’s young people and support the arts in education. The Bolz Young Artist Competition is made possible by a generous endowment from The Eugenie Mayer Bolz Family Foundation. 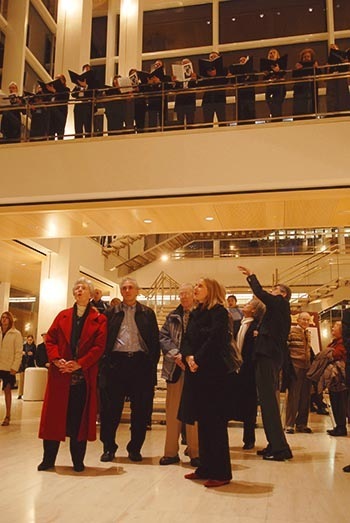 Major funding for “Wisconsin Young Artists Compete: The Final Forte” is provided by Diane Ballweg, Julie and Larry Midtbo, Fred and Mary Mohs, Stephen Morton, Joe and Maryellyn Sensenbrenner, and The Boldt Company. With additional funds from A. Paul Jones Charitable Trust, James Dahlberg and Elsebet Lund, W. Jerome Frautschi, Ann and Roger Hauck, Elaine and Nicholas Mischler, Kato Perlman, Sentry Insurance Company, The Estate of Norene A. Smith, Paul Guthrie in memory of Ella Guthrie, Judith and Nick Topitzes, and Friends of Wisconsin Public Television. Over the years, The Ear has heard quite a few child prodigies, many of them impressive. But he has heard only one Julian Rhee (below). Rhee, from Brookfield, is a young Milwaukee area violinist who has won numerous awards from and has performed with the Madison Symphony Orchestra, the Wisconsin Chamber Orchestra and the Milwaukee Symphony Orchestra. 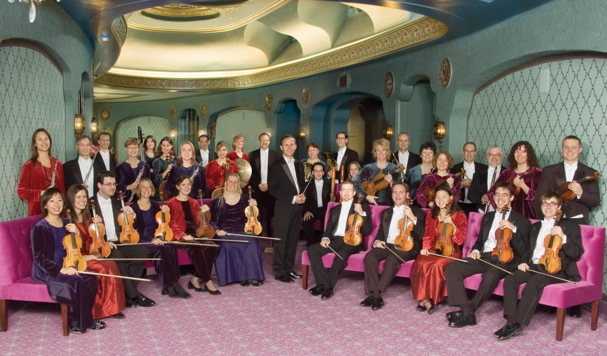 Rhee will perform again with the WCO (below), playing the complete Brahms Violin Concerto — not just separate movements or excerpts — this Friday night at 7:30 p.m. in the Capitol Theater of the Overture Center. What makes Rhee so outstanding is that the level of his musicality matches his high technical mastery. When he performed some of the Brahms concerto in the Madison Symphony Orchestra’s Final Forte competition, which he won two years ago, all eyes and ears popped open with the first notes. You just knew right away who was going to win. Rhee’s playing exuded a maturity that even seasoned listeners did not expect. And the Brahms is a perfect vehicle to display his interpretive maturity as well as his technical virtuosity. Surely Rhee still has room to grow musically. But his mastery is already something to behold. If you enjoy being able to say “I heard him when …,” this concert has all the hallmarks of being a must-hear, do-not-miss event. But there are other attractions on the program, to be played under music director Andrew Sewell, who has again combined works from the 18th, 19th and 20th centuries. 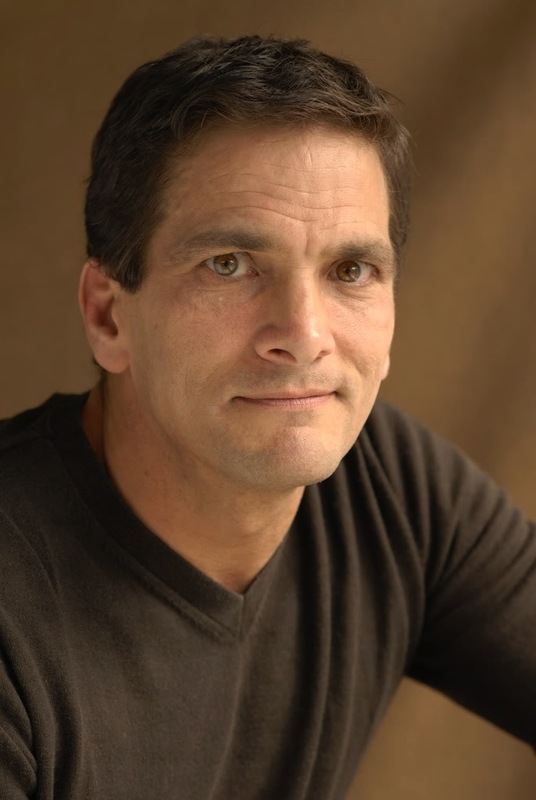 Igor Stravinsky’s “L’histoire du soldat” (The Soldier’s Tale) will be performed with guest narrator Jim DeVita (below) of American Players Theatre in Spring Green. The story involves a soldier who sells his soul to the devil. And there will also be the Symphony No. 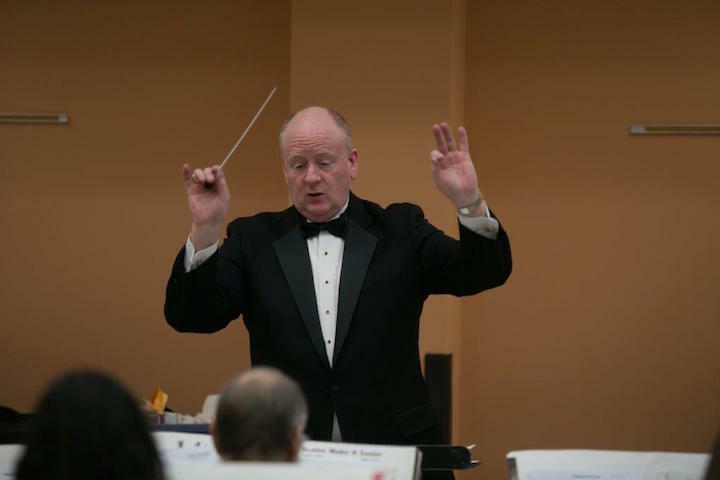 102 in B-Flat Major by Franz Joseph Haydn, a composer whose style brings out the best in WCO music director and conductor Sewell (below), an accomplished interpreter of music from the Classical era. 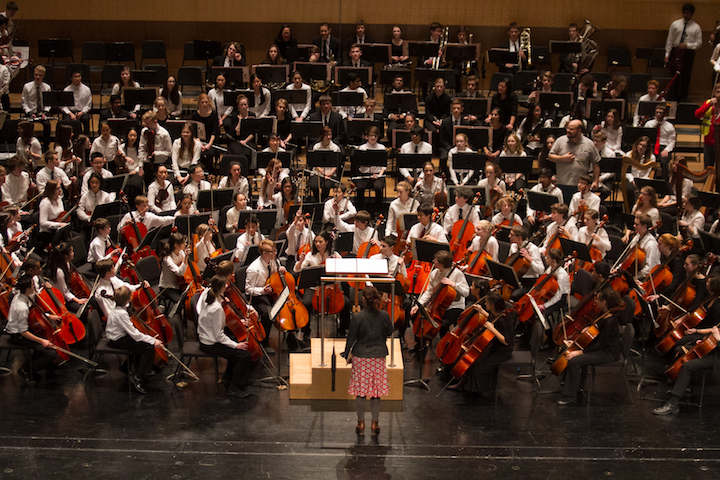 Classical music education: The 50th anniversary gala concert by the Wisconsin Youth Symphony Orchestras (WYSO) will air on Wisconsin Public Television Monday night, May 23, at 8 and Sunday, May 29, at 3 p.m. 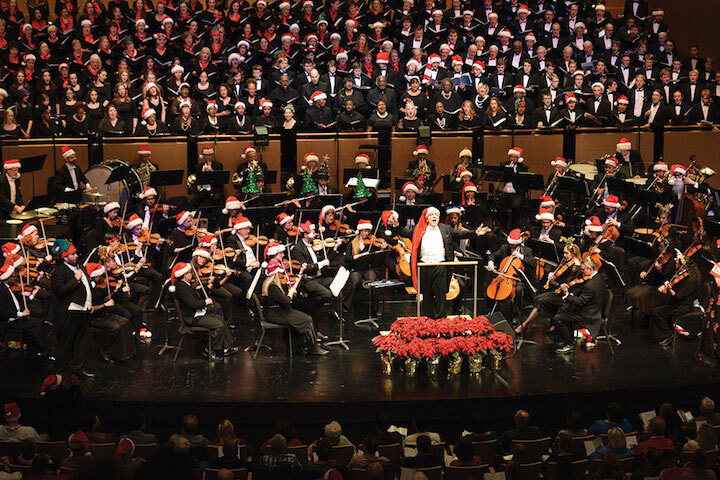 The SOLD-OUT gala concert (below), given last February in Overture Hall by the Wisconsin Youth Symphony Orchestras (WYSO) to mark the organization’s 50th anniversary, will be featured in a special one-hour statewide broadcast on Wisconsin Public Television. 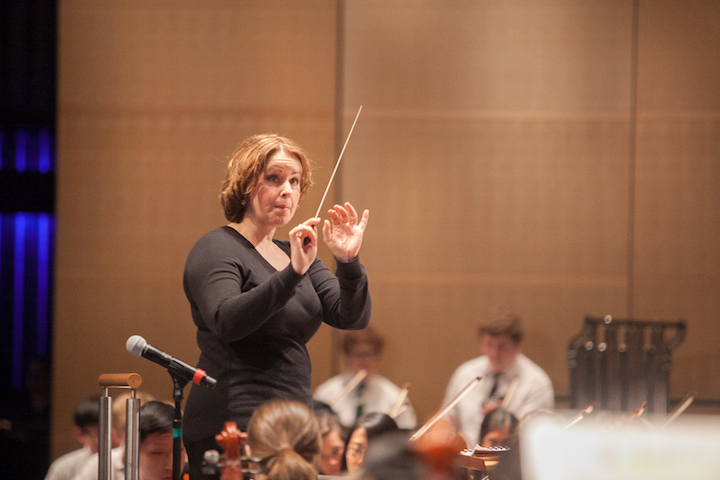 The program, which airs on Monday night, May 23, at 8 p.m., will feature highlights from the concert as well as interviews from current members (below), staff and alumni, and features background about music education and WYSO’s 50-year history. PLEASE NOTE: This is also a great weekend to hear WYSO members in LIVE concerts. 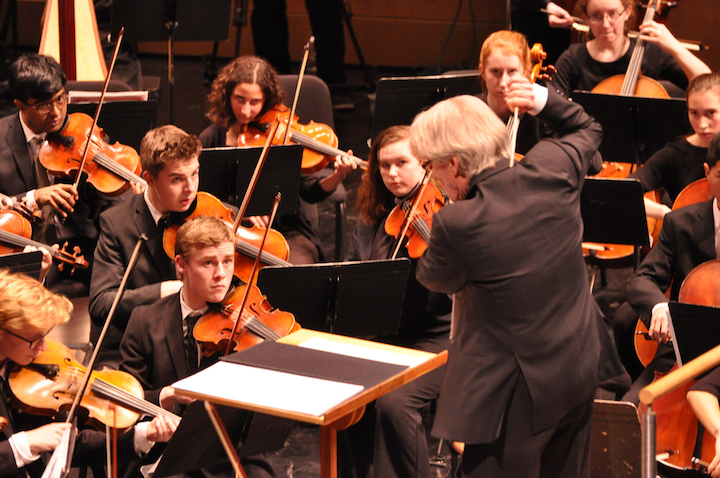 Today (Saturday) and tomorrow (Sunday), various WYSO groups will give the annual series of spring concerts, including performances by winners of the WYSO concerto competition. 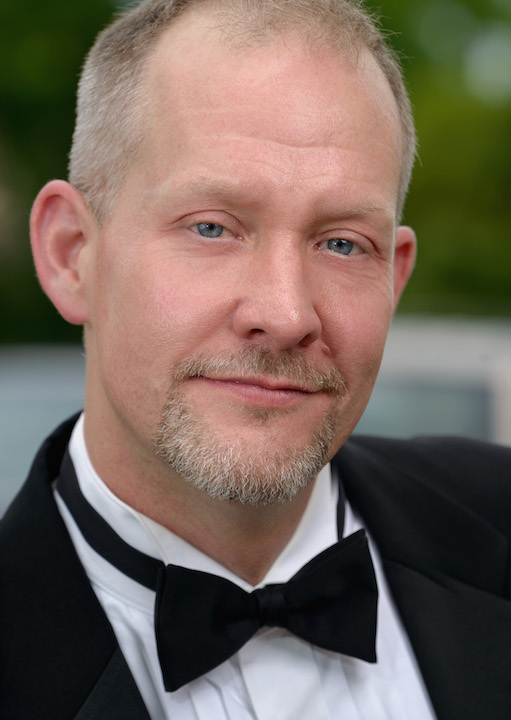 ALERT: On Saturday night at 3:30 p.m. in Morphy Recital Hall, David Richardson, a first-year DMA candidate in Collaborative Piano at the UW-Madison, will be joined by a guest artist, baritone Alan Dunbar, for a FREE performance of the famous song cycle “Winterreise” (Winter Journey) by Franz Schubert. The Ear hears it promises to be an outstanding performance. There are many student recitals and concerts at the University of Wisconsin-Madison each season – many dozens and maybe even into the hundreds. But still there are standouts. One such standout is coming up this Sunday night at 6 p.m. in Morphy Recital Hall. That’s when the Hunt Quartet, made up of very talented UW-Madison graduate students, will perform a FREE concert. Too bad it has to compete with the special two-hour final episode of the popular PBS series “Downton Abbey,” which The Ear suspects will cut into the audience. Could they have moved the concert up to 5 or earlier? That would be nice, but maybe hall logistics made that impossible. Anyway, the members of the string quartet were selected by the University of Wisconsin-Madison School of Music faculty because they are outstanding performers and pedagogues. Members are seen below, in a photo by Katrin Talbot. They are from left: Clayton Tillotson, violin; Blakeley Menghini, viola; Paran Amirinazari, violin; and cellist Andrew Briggs, cello. The Hunt Quartet is the graduate string quartet for UW-Madison’s School of Music. 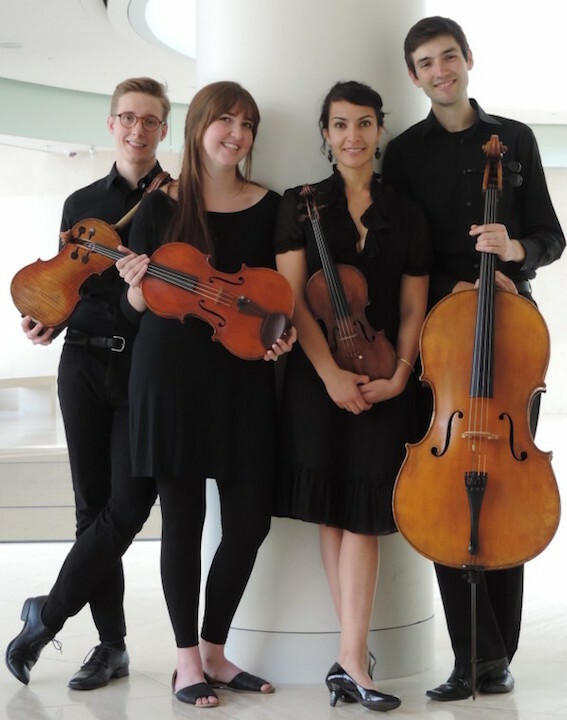 As Project Assistants within the School of Music, the Quartet performs concerts at the School of Music and university events, as well as part of community outreach. Members work closely with faculty, including the Pro Arte Quartet, and have Professor Uri Vardi as their principal coach. Other artists who have worked with the Quartet include violist Nobuko Imai, violist Lila Brown, and members of the Takacs String Quartet. The Quartet is also the integral part of the Madison Symphony Orchestra’s “Up Close and Musical” program, visiting area schools to teach students about fundamentals of music and the string quartet. 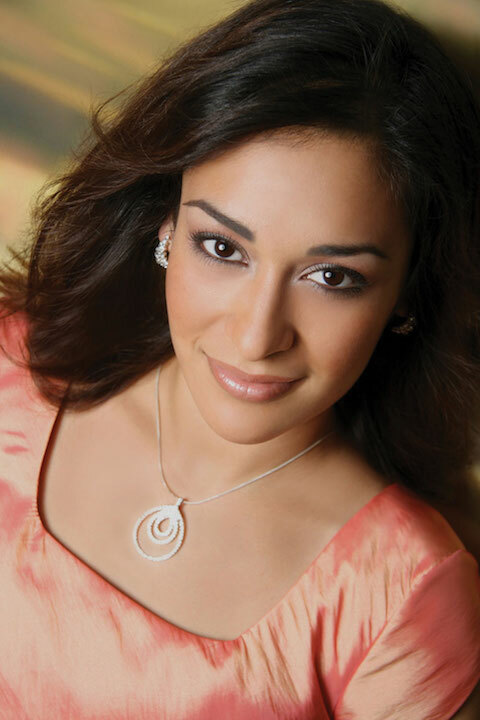 The Hunt Quartet is generously sponsored by Kato Perlman and the Madison Symphony Orchestra.